March 21 is the International Day for the Elimination of Racial Discrimination. The date is marked by the United Nations to commemorate 69 peaceful demonstrators killed when police opened fire on a crowd protesting apartheid pass laws in Sharpeville, South Africa, on this date in 1960. The work needed to build communities that embrace diversity is continuous and difficult. It requires willingness to examine critically questions of equity in the spaces where we live, learn and work. This means discerning who is represented in these spaces, and who feels supported and able flourish there. It also means taking effective measures where we identify equity gaps and shortcomings. 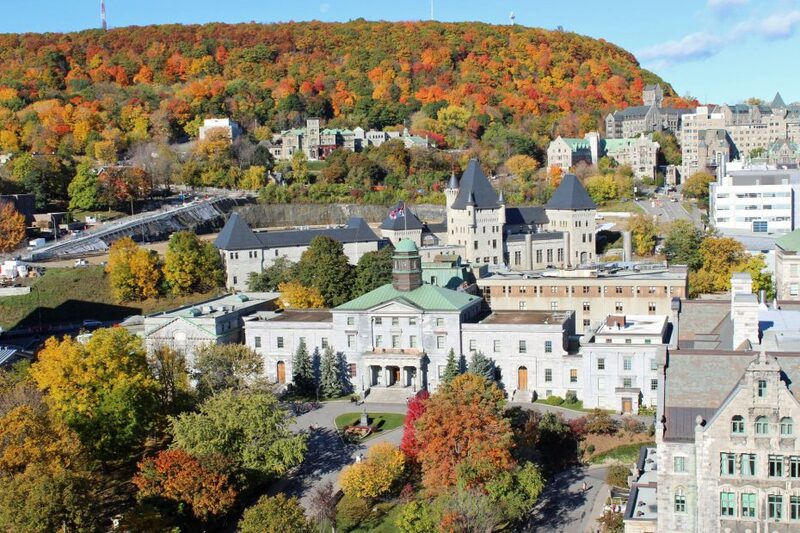 At McGill, equity and inclusion initiatives continue to grow. We are endeavouring to enhance diversity in our student body and workforce and raise awareness about equity through education. This education calls for open, frank and respectful conversations led by skilled facilitators. McGill is lucky to have a great team of equity educators, one of whom – Shanice Yarde – has expertise in anti-racism and anti-oppression education. Further, McGill’s Joint Board-Senate Committee on Equity (JBSCE) oversees and provides guidance on equity within McGill policies. The JBSCE is the umbrella entity of six subcommittees, including the Subcommittee on Racialized and Ethnic Persons, led by longstanding Chair, Adrienne Piggott. Each subcommittee works to raise awareness about equity and combat discrimination at McGill, welcoming members from across our campus community. McGill students continue to be critical to advancing the University’s equity efforts through groups like the Black Students’ Network and the McGill African Students Society. Their Presidents – Christelle Tessono and Andreann Asibey respectively – are exemplars of student engagement and advocacy in the fight against racial discrimination. Building racial equity also requires ongoing commemoration and recognition of the presence, accomplishments, and contributions of racialized members of our communities. Occasions that centre underrepresented groups, such as Muslim Awareness Week, Black History Month celebrations institutionalized largely by the work of Shanice Yarde, and Indigenous Awareness Weeks led by equity education advisor Janelle Kasperski, remind us that McGill would not be what it is today without all of our amazing students, faculty, and staff of diverse identities, beliefs and experiences. Commemoration can also prompt reflection on the persistence of discrimination and violence rooted in racism. This was true of campus events honouring the victims of the January 2017 massacre at the Centre culturel islamique de Québec (CCIQ), which included a tree-planting last June and the inauguration of the CCIQ Memorial Award last November. These events were led by Ehab Loteyef, a member of the Subcommittee on Racialized and Ethnic Persons and Board of Governors, in collaboration with the Institute of Islamic Studies. While sombre, these initiatives allow us to unite and reflect on our shared commitment to advancing equity and inclusion. This year, McGill has the honour of hosting human rights icon Gay McDougall, Vice-Chair of the UN’s Committee on the Elimination of Racial Discrimination, on March 21. She will deliver a lecture at 2:30 pm in Chancellor Day Hall (Room 312) in the context of Law Professor Adelle Blackett’s course, Transnational Futures of International Labour Law: la justice sociale dans le monde du travail. Professor McDougall’s lecture will be webcast live and open to the public (please rsvp). On March 22 at 9:30 am (in McLennan-Redpath, MS-74), Shanice Yarde will facilitate a Race and Cultural Identity workshop for faculty, staff, and graduate students. Participants will gain a better understanding of race, culture, and racism in a Canadian context and what we can do to challenge racism and create safer spaces on our campuses (please register here). As we observe March 21, let’s acknowledge the steps taken to work toward eliminating racial discrimination on our campuses while also reflecting on all that is still required to reach this goal.